On Saturday(April 12th) Cardi Be was honored with the 'Spark Awards' at the 2019 Swisher Sweets Awards at The London Hotel in West Hollywood, CA. 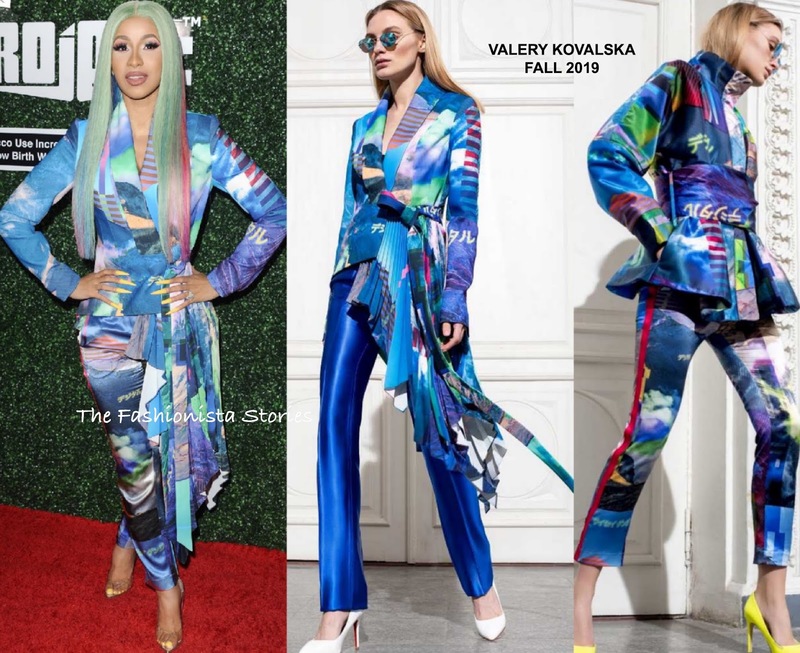 She posed on the red carpet wearing a VALERY KOVALSKA FALL 2019 printed power suit, featuring a draped, pleated & slashed blazer and matching trousers. While the electric blue worked with the blazer in the look book, I prefer the matching pants. The playful, multi-prints makes a chic statement. The hair is throwing things off a little, which is why I wish it was completely off-the-shoulders. Nonetheless, she looked great. Are you sold on Cardi's power suit look?